The Chicago & Eastern Illinois Railroad met a more gruesome end than most merger victims, being partially dismembered and partially shared between the two successor roads. 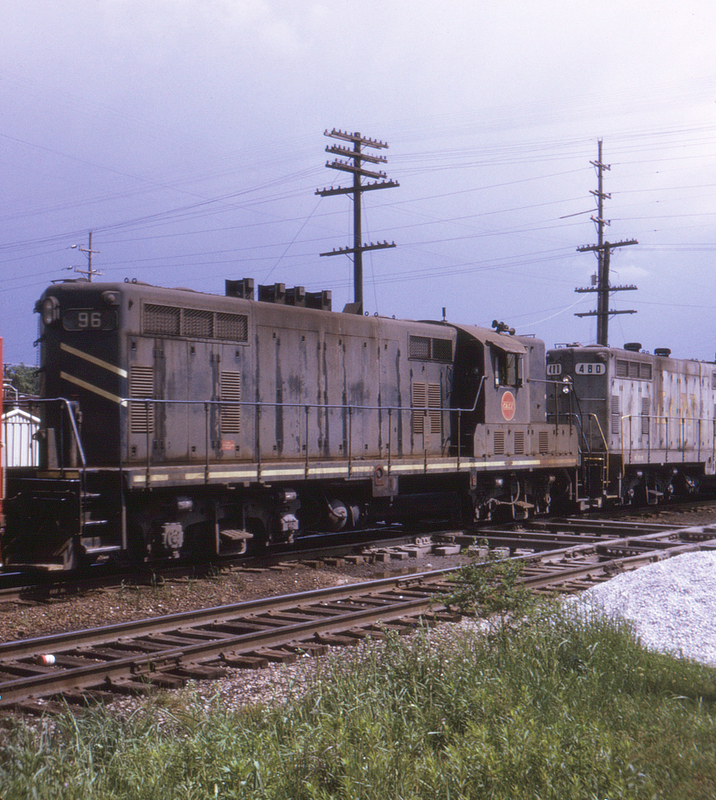 Acquired by the Missouri Pacific in 1967, one of the ICC's conditions for the purchase was that MP sell one of the C&EI's two southern legs to Louisville & Nashville and agree to joint ownership of the Woodland Junction to Chicago stem. This slide highlights the ambiguities of the situation, with motive power of both roads clouding the issue of just whose train this was, seen at Dolton Crossing in the Chicago suburb of Dolton, Illinois. Incidentally, for a while the MP repainted former C&EI locomotives in MP blue and white but with "C&EI" in the red sunburst logo as with no. 96 here; the L&N observed no such niceties and simply repainted its share of the rolling stock in the L&N's paint scheme, leaving the former ownership of no. 480 unknown to all but roster enthusiasts.